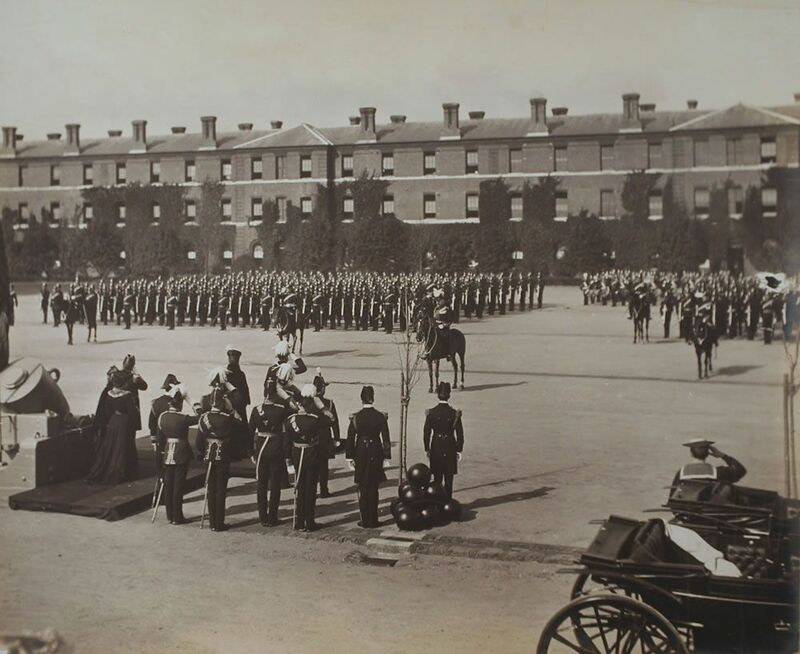 The Royal Marine Artillery on parade at their barracks at Eastney, 1904. HRH Prince George, the Prince of Wales, their Colonel in Chief took the salute. This The Royal Marine Artillery on parade at their barracks at Eastney, 1904... Art Print is created using state of the art, industry leading Digital printers. The result - a stunning reproduction at an affordable price.